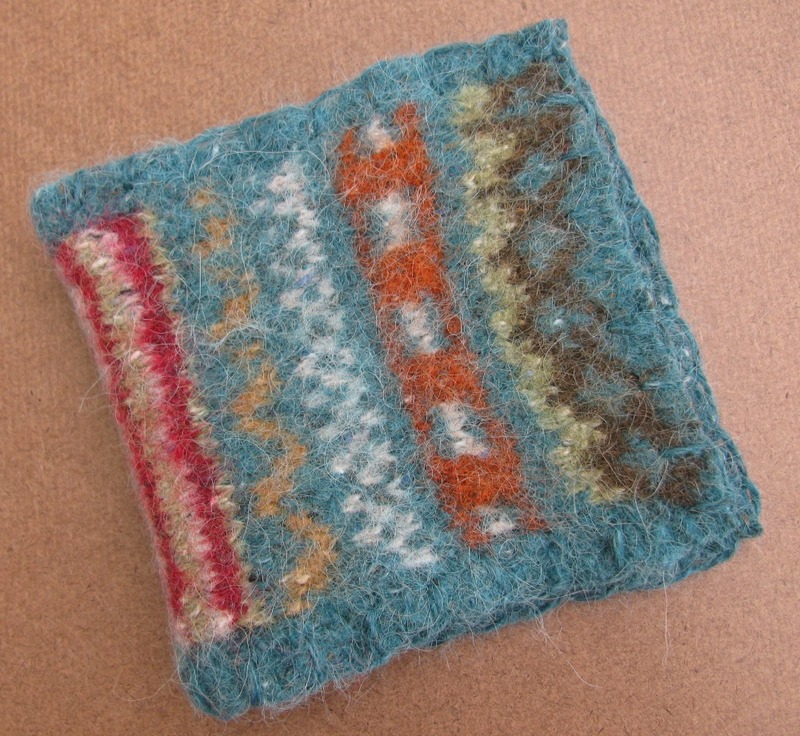 As part of our First Steps in Fair Isle workshop you make a needle book for your pins and needles etc. 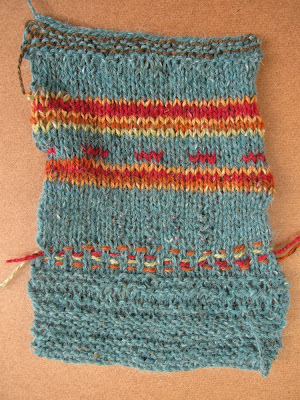 Its an ideal project to try out a new technique as it's a small and achievable item as well as practical! 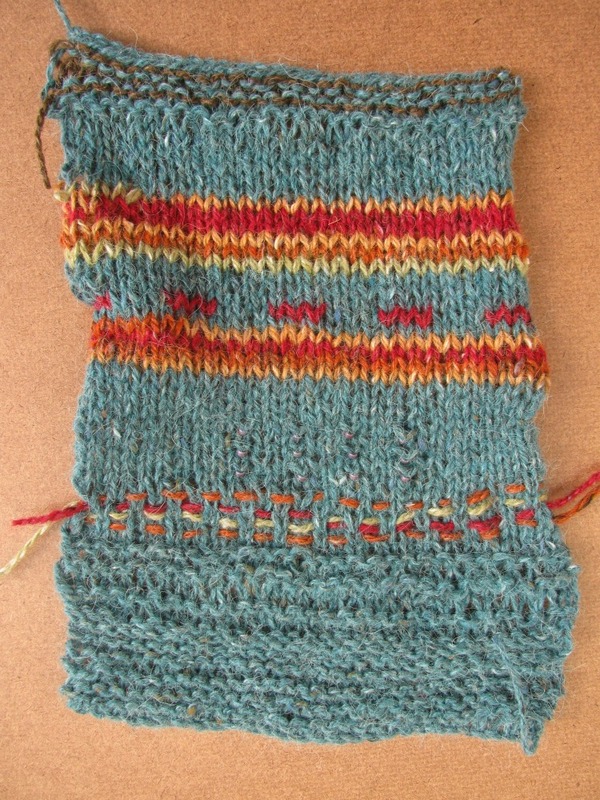 You begin by practising your Continental knitting (full instruction given) on your inside page before moving on to your patterned outside cover. 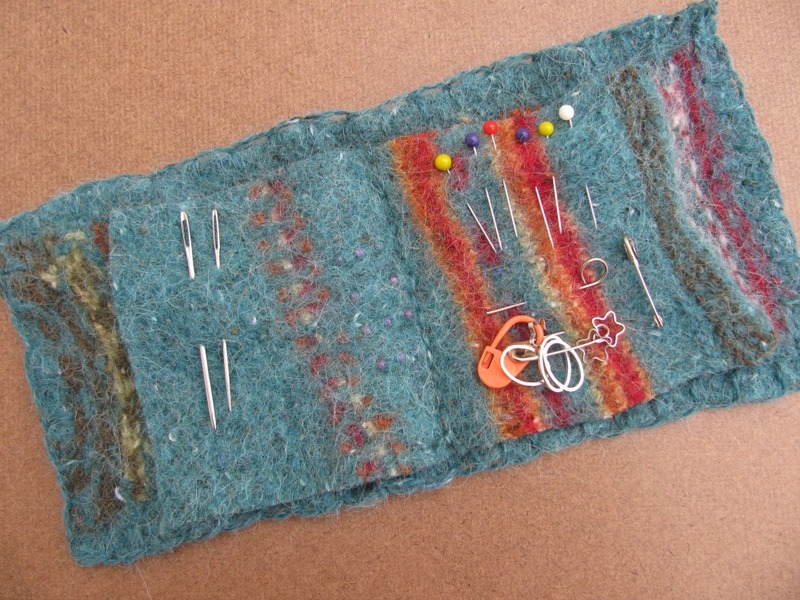 Janice also shows you how to add beads to your knitting using a crochet hook. 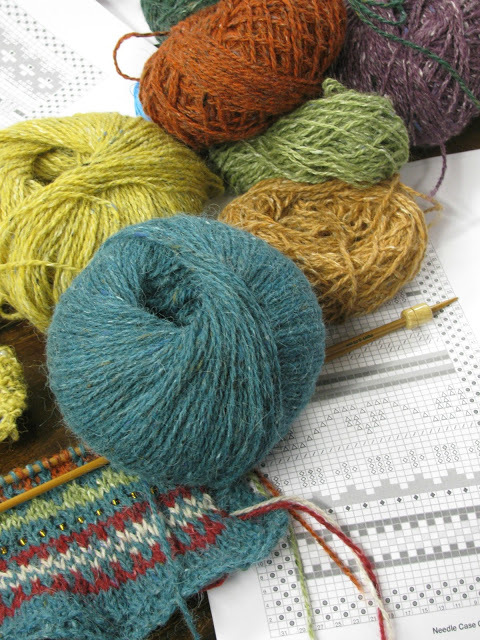 You might not get the needle book finished during the workshop but you do get to take all your materials home. 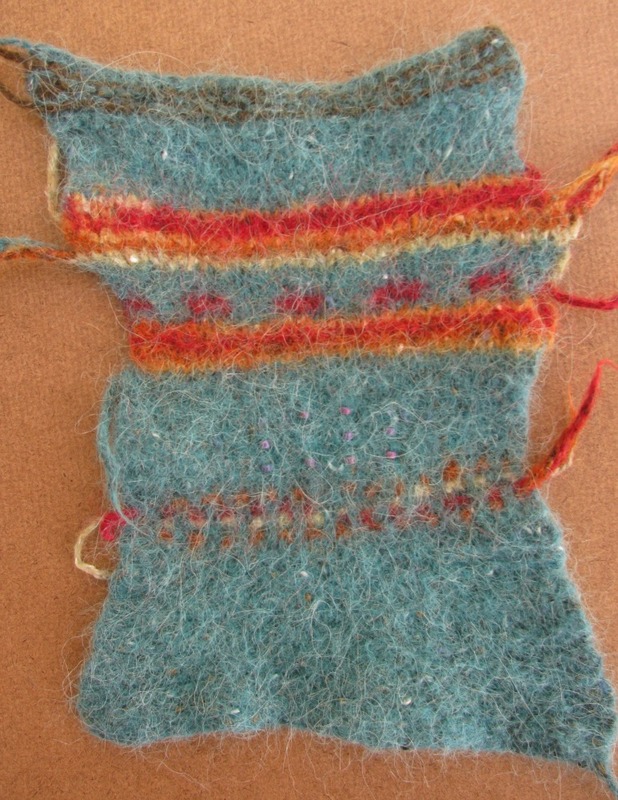 Included in the workshop fee is a ball of Rowan Felted Tweed and bamboo needles as well as lots of lengths of contrasting colours. I added some stripes of contrasting colour and also weaved some yarn into the finished piece... to use up all my leftover bits of Felted Tweed. Janice recommends felting the finished piece - it creates a sturdy fabric for your needles as well as concealing any wonky tension and stray stitches! 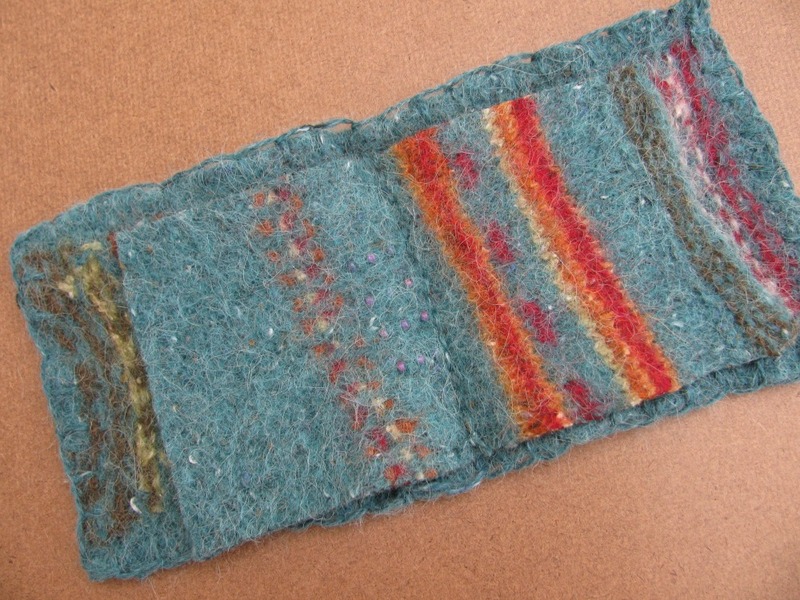 I felted mine in a basin of hot water with a squirt of washing liquid. 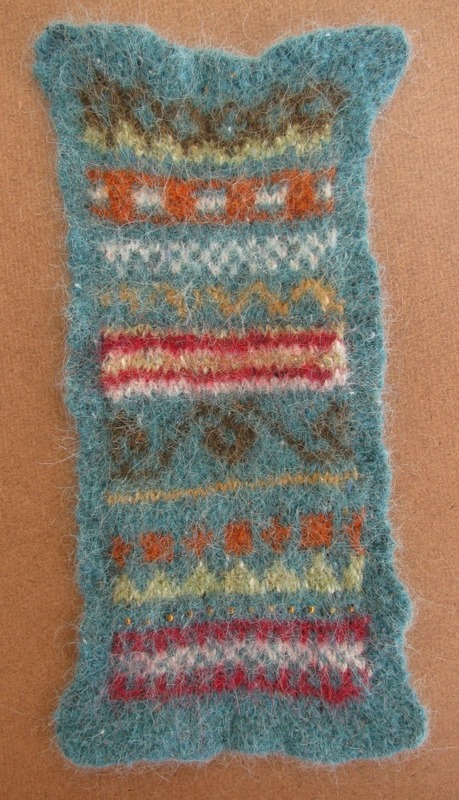 Full instruction and a demo at the workshop! 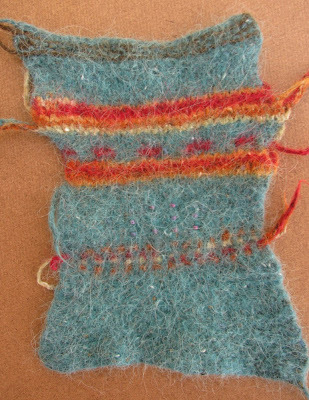 felting makes the stripes look fuzzy! filled - includes the lovely simple solid stitch markers by Fripperies & Bibleots! 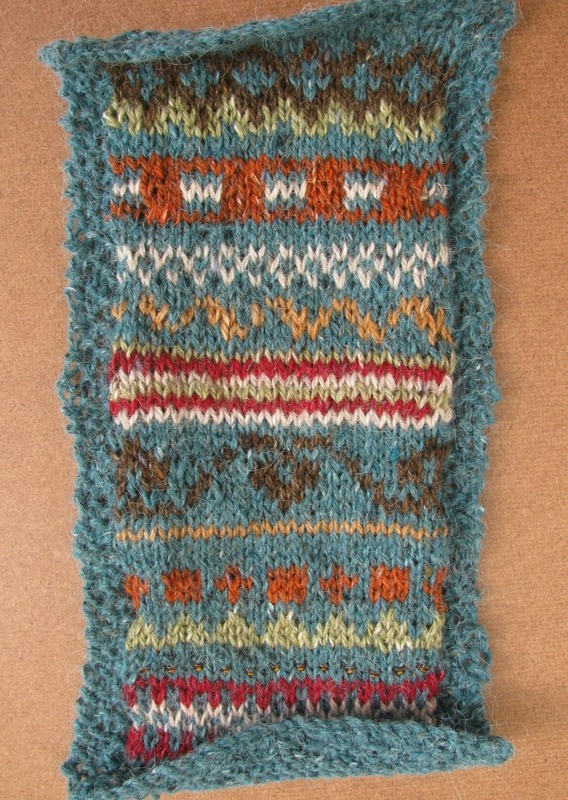 The next First Steps in Fair Isle workshop is on Sunday 2nd June. Full details on our workshop page! Call the shop to book your place.